The Digitol Academy is an on-line video lesson based program that forms a vital part of your business transformation process. 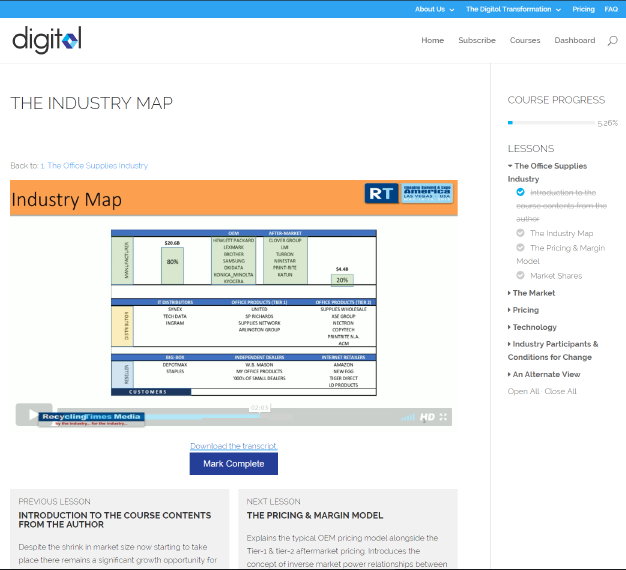 It is the only education track in the office products and supplies industry developed specifically for teaching ALL the components needed for a digital business transformation. Navigating through the video course content is easy with your progress bar always visible on the right and your previous and upcoming lesson navigation below the video window. The first four Digitol Academy courses are Free!